Tibet as a cause célèbre has moved on, now drawing only incidental global attention, while the genocidal tragedy there keeps growing ever more serious; there is an urgent need for the wider international community to understand the gravity of the situation and act decisively to avoid the impending disappearance of a unique living culture and way of life, writes Gavinda Jayasinghe*. Tibet has remained forever embedded in the collective consciousness of the global political left, wanderers, backpackers and meta-hipsters the world over. The mere mention of its name is sufficient for most to conjure up the images of idyllic grace and scenic beauty that Tibet is synonymous for. Almost like an exercise in escapist fiction, our hearts and minds are softened and a panacea of sorts is realized when contemplating the enigmatic nature of this most wondrous place. A brief moment of respite is chanced upon with its remembrance, where the dullness of our busy lives momentarily dissipates. Tibet, as we had heard, seen and been enchanted with before, is a harshly different place now. Concrete edifices and other out of place structures line most streets in its capital Lhasa and other outposts where people of Han Chinese origin were settled, in an attempt to assimilate the ethnic Tibetans of the region. Today, military personnel and officials from the Communist Party of China form a sizeable portion of the population in Tibet. The adulation and interest of cameras have long since waned, and in the process abandoned this formerly serene picture of isolated beauty, remoteness and inaccessibility. Its appeal still remains in parts and with it the cause, hopes and aspirations of over two million Tibetans, both at home and in exile. Over the past decade or so, more modern, visible and pertinent squabbles have diverted the attention of the world’s people, leaving little room or time for the discussion of the Tibetan issue. In a geopolitical sense, there is very little leverage to be gained from the resolution of the Tibetan people’s dilemma. For the most part, most organizations and countries have deemed China fit enough to deal with the issue, with no external influence to guide the moral and ethical implications this global cause célèbre gives rise to. The apathy displayed by the nations of the world in this regard is highly political, as China is not as malleable in a political sense as some of the aggressors in other world conflicts. The Tibetan cause has been sidelined almost entirely in the recent past, except for the brief moments when their spiritual leader or the Dalai Lama, Tenzin Gyatso, addresses the world on compassion, understanding and seeking a middle-path based solution to the continuous force exerted by the Chinese government, on his people. Lobsang Sangay, the current political leader of the Tibetan government in exile, based in Dharamshala, India, travels the world while shedding light on the ever-worsening situation in his country and promotes their case for sovereignty and true autonomy. The term ‘cause célèbre’, derived from French legal parlance, describes a phenomenon that has remained largely unexplored and ill-understood. Agreed, it is a human construct, and the term carries as much weight as we assign it. However, terms take on a meaning and definition all their own, with the passage of time. Conflicts involving the occupation of land, irredentist movements and battles along ethnic or religious lines, have been the beloved of most global causes célèbres. The more remote the conflict, and thereby more awe-inducing, the better it is for the status of the celebrated cause. A trend is set, where it almost becomes in vogue to be able to debate, at least on the surface, the roots of a certain conflict and who was or is in the right. Hippies, intellectuals, socialites, political enthusiasts, and liberals alike, with their chosen cause célèbre, believe that they have almost exclusive rights to any information pertaining to the history of the issue and its development. Cult-like status is often enjoyed by most cause célèbre. I too am not immune in any way from the mesmerizing allure of this entirely human spectacle. Perhaps it is the romanticized ideal of struggle that most, including myself, are drawn to. A few examples from the past and present include: The Palestinian cause in the Palestine-Israel conflict, the right of Kashmir to secede from India in order to join Pakistan or to gain complete sovereignty, the conflict in Darfur between the indigenous population and the Sudanese government forces, the war in Bosnia and Herzegovina in former Yugoslavia, and the war in Kosovo. A cause célèbre, once advocated by Hollywood and the music industry, takes on a different air. Now, a mystical aura begins to surround it. The potential to raise money for a meritorious cause increases exponentially, once advocated by a trendsetter or two. As witnessed in the past, a period involving numerous charity concerts and fundraiser gala dinners held in honor of the particular cause will follow. Exposure of an unprecedented kind is received thereafter, often promoting transparency and visibility, and maybe even slightly improving the situation on the ground. A cause célèbre galvanizes celebrity and public opinion. After all, we are social beings; we tend to gravitate towards common problems, especially if they are external and geographically distant in nature. The problems arise though when the crux of the matter remains unchanged, long after interest in the topic diminishes and its former sensational appeal lessens. Even after years of being in the international spotlight, the natives or the initial parties involved still have to contend with the problem that resulted in the attention in the first place. 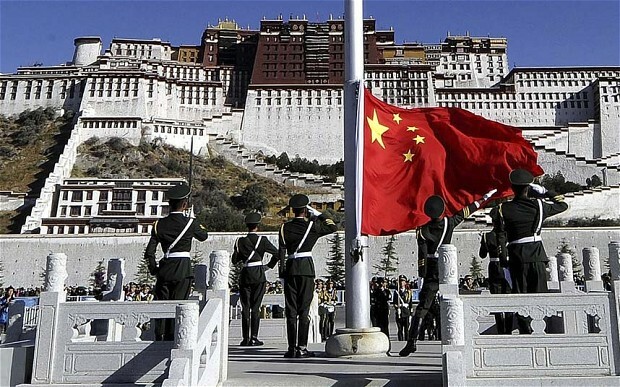 In the case of Tibet, the prevalent situation is highly volatile and dangerous. The favoritism we tend to display towards certain causes is innate. Often, we show a sense of affinity for a particular issue, sometimes to a greater degree than equally compelling problems that exist elsewhere in the world. This was clearly evident in the conflicts that reached their climax over the past few months; unprecedented acts of absolutely gruesome violence and a rising death toll were required for the problems in Syria and Iraq to rival or surpass the situation in Palestine, in terms of importance, exposure and the need for urgent action. Our seemingly irrational choices are conditioned by various cultural and sociological tendencies, biases and leanings. There is no understanding it. We are after all, only human. But we ought to bear more responsibility as result. More responsibility to alleviate the suffering of an entire nation, who have witnessed firsthand the unconcealed and systematic destruction of Tibet’s administrative and religious structures, since the Tibetan uprising in 1959, which led to the Dalai Lama’s flight to safety. Furthermore, the Tibetan identity, as a people, has been attacked ferociously over the past few decades. It has reached a point where many Tibetans have begun to question themselves, their former way of life, and if it ever meant anything at all. The strength and vigor of the Chinese attempt to absorb and eradicate any remnants of Tibetan culture can be gauged purely from the lasting psychosocial impact it has had on the population. What is most painful to observe is how there has been no closure at all in this once mighty cause célèbre. The Palestinian-Israeli conflict rages on, with constant outbursts of violence, year after year. There is no end in sight; however, it remains at the forefront of the world’s attention due to the importance of its main belligerents in the world and regional stage. In Darfur, bouts of fresh violence emerge from time to time, with no justice in sight for the non-Arab indigenous population of Darfur. Yet, they at least have the likes of George Clooney, who continues to poke the international community’s conscience. The problems in Bosnia have been resolved almost entirely, and the situation in Kosovo has improved drastically. The fate of Kashmir remains in limbo, but their culture and traditions are firmly in place. Concerted efforts have been made by both Pakistan and India towards their continued preservation, as their importance has been discerned. That brings me to the most important assertion of this entire opinion-piece; culture and tradition. That is where the issue in Tibet differs from other causes célèbres. Entertaining the notion or concept of a cause célèbre for conversation’s sake is alright, that is until palpable and irrevocable impacts are felt on the ground level. Hollywood celebrities, prominent activists and organizations forgot Tibet a long time ago. In the meantime, China’s aggressive stance in Tibet has caused a ‘cultural genocide’ of sorts, which as deemed by many Tibetans has been far worse than the outcome of a conventional genocide. Most Tibetans in exile are increasingly worried, and have started to wonder what use their former homeland would be of, if its culture is completely wiped out. As one Tibetan lama succinctly put it, of what use is one’s land without the way of life it once accommodated? The news of frequent self-immolations by the Tibetan monks, as a show of defiance to Chinese authority, temporarily draws attention to their cause. But, it does little in the long run in repairing the damage done to their unique way of life, and in enabling self-governance by Tibetans, within a free Tibet. We pick and choose the causes we are partial to. This is ultimately harmful, as reality differs quite starkly from the rhetoric and images that are propagated. Some causes are expedited as a result of the exposure they receive, and others rarely see the light of day. For example: the Uyghurs, a Turkic ethnic group who have followed Islam for centuries, living in the Xinjiang Uyghur Autonomous Region in the People’s Republic of China, have engaged in low-level skirmishes with Chinese government and military officials over the past few years. These battles have escalated since of late, and resulted in the usual iron grip being yielded by the Chinese government, amidst an environment that is tense and full of distrust. Their cause has been in the limelight lately, as a result of increased international community recognition. On the other hand, the right to self-determination of the Baloch of Pakistan receives little to no recognition from the outside world. The active separatist movements in Chechnya, despite the bloody battles in the past, and in neighbouring Ingushettia and Dagestan in the North Caucasus, have also had their fates handed over to Russian determination, with little to no consternation from the world community. People’s lives are at stake. Our petty leanings and preferences should not determine anyone’s fate. The efforts of the entire world are required in order to redress the balance in the Tibetan case. We have failed the Tibetan people. Let them not go the way of Native Americans and to a lesser degree the Aboriginal Australians (Aborigines), who have all but lost their languages and way of life. Their sense of pride has taken repeated blows, and it has resulted in multiple psychosocial problems, such as alcoholism, domestic violence and drug abuse. I repeat, let them not go the way of Native Americans and Aborigines. Do not let them be mere puppets and instruments of entertainment for tourists, who put on shows and dance for meager amounts at the beck and call of tour package organizers. The appeal that a cause célèbre can have on our pathos is futile and inefficient, if it cannot spur each of us within the international community to act decisively. 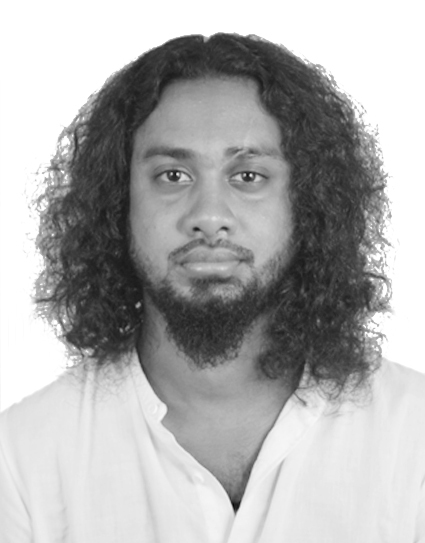 * Gavinda Jayasinghe is an independent writer and singer-songwriter. He is of the view that both these forms of expression segue into each other unobtrusively. It is his purpose to instill in himself and promote among others, virtues such as compassion and equality.